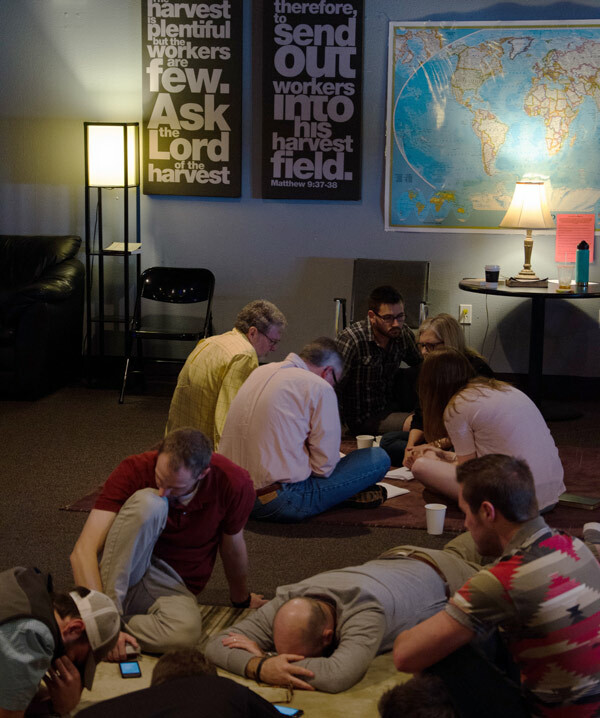 The Fayetteville Prayer Room exists as a place for the unified Body of Christ in our community to come together in constant intercession and worship; that the presence and Love of Christ might flood our hearts, our churches, our community, and our world. There is one God, eternally existing in three co-equal Persons (Romans 8; Ephesians 1:13-14). God, out of love for his children, sent his son Jesus Christ to die for our sins, and to rise from the dead (1 Corinthians 15:1-8). Salvation is a free gift of God. The death of Christ on the cross is the only sufficient payment for our sins. All have sinned, but all can be saved.This salvation is available for any who put their trust in Christ as Savior (Romans 3:23, 6:23; John 3:16). Those trusting Christ should repent of sin, confess their faith, and be baptized (Romans 10:9; Acts 2:38). The church is the body of Christ on earth, empowered by the Holy Spirit to continue the task of reaching the lost and discipling the saved, helping them become fully devoted followers of Christ (Ephesians 4:1-16). Christ will one day return and reign forever (1 Thessalonians 4:13-18). When we die, we will either be eternally separated from God by sin or eternally with God through faith in Jesus (John 3:16; John 14:1-3; Romans 20:10,15). 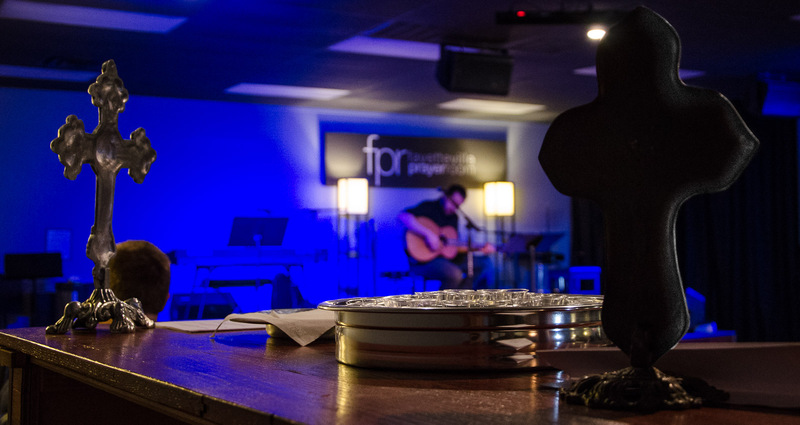 When you visit FPR during the day you will find a wide variety of recorded worship music playing, from old gregorian chants to modern contemporary, as well as some from different cultures and languages. As you move around the room you will notice a wall with pictures of global workers around the world seeking to further the Kingdom of God to ends of the earth. Near the stage is a screen with scrolling prayer requests that have been entered online or at FPR. We are working to develop a diverse worship atmosphere at FPR that is conducive to personal reflection while still incorporating times of corporate worship and prayer throughout the day. Currently the more quiet hours at FPR are before 5PM and the more corporate worship/prayer times are later in the evenings throughout the week with Encounter finishing the week off on friday nights. We would love to pray with you about whatever is on your heart. Prayer requests are shared with our prayer volunteers and displayed on the screen in the prayer room. We're on Facebook and Twitter, so follow us to keep up with what's happening at the prayer room.